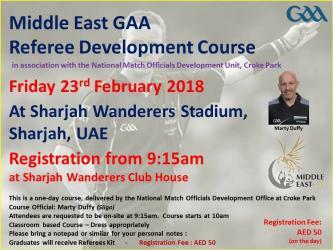 Yes, Mr. Marty Duffy is returning to the Middle East to do the second and final Referee Development Course of the season on February 23rd at Sharjah Wanderers Stadium from 9.15am. This course is open to all ME GAA members and is provided so we can grow numbers and skill levels of local referees in the region. 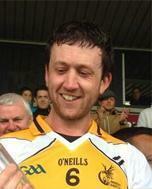 A higher skill and qualification level for our referees will enhance the playing experience at all levels. With the growth in playing participation we need more and more referees so please contact us here via PM or your club secretary to confirm your registration!! Further info available in the attached poster.